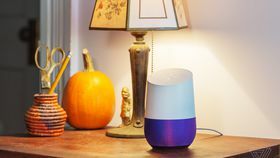 Over 3.1 million Google Home speakers were sold during the first quarter of 2018, beating Amazon’s 2.5 million Echo devices for the first time since the two companies began competing in the smart speaker market. It’s worth remembering Amazon has outsold Google in the smart speaker market every quarter, since at least the beginning 2017, according to Canalys. Amazon remains the overall market leader, though Google is quickly catching up. Looking at the bigger picture of Google, Amazon, and Apple — now the big three in the smart speaker market — a total of 4.1 million speakers were sold in the US during the same time period, the most in the world. It turns out China and South Korea are second and third in the global market, with 1.8 million and 730,000 units in smart speaker sales, respectively.